I’m always looking for quick and easy holiday appetizers. This one is an oldie but a goodie that I like to pull out from time to time. Not only does it taste amazing and keep in the refrigerator for a few days but it makes your kitchen smell like Christmas! You can really use any good red wine (remember to always cook with a wine you would drink and not the cheap stuff–I promise you’ll thank me for it!). I’ve made this with Pinot Noir, Cabernet Sauvignon, Red Blends–like our Drop Dead Red and my favorite Port. Cut your Figs in half lengthwise and place them in a skillet. 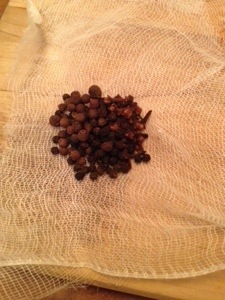 Place your loose spices in a bit of cheese cloth so that you don’t have to fish them out later and tie up the end to make a small spice bundle. 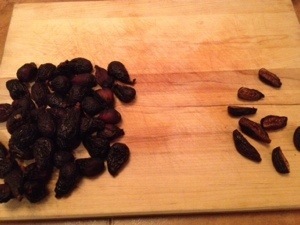 Heat your fig and spice mixture on medium low until you get a nice simmer. Depending on your stove top you want to keep the heat between low and medium low. 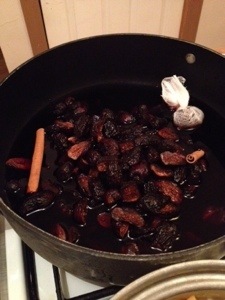 Simmer until the liquid is reduced by at least half to form a nice syrup. Remove from heat and let cool. Discard the cinnamon sticks and the spice bundle. The figs are yummy by themselves or on a nice cheese plate. I also like to do a rough chop to them and serve them on top of fresh goat cheese on a crostini. You can even use them to top some delicious ice cream. Refrigerated the figs will be good for about one week. 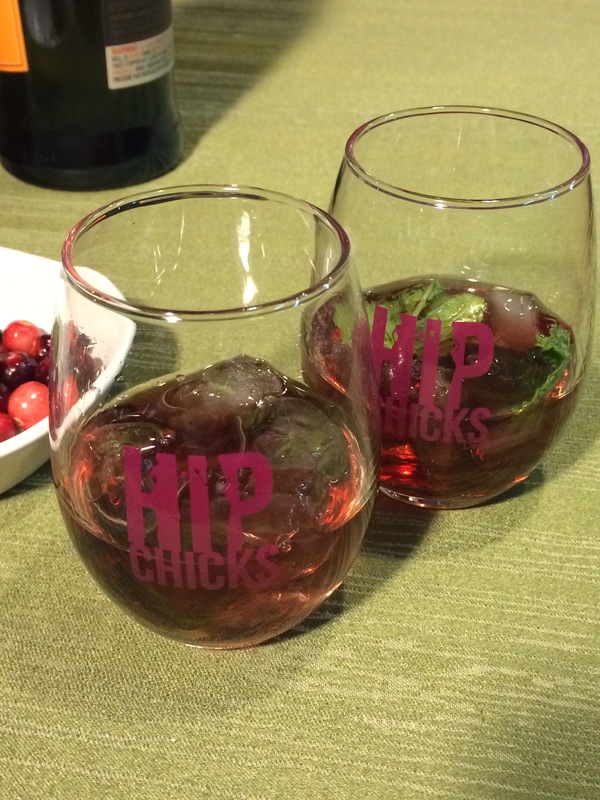 Posted in Appetizers, Uncategorized and tagged easy appetizer, figs, Hip Chicks do Wine, holiday appetizer, red wine figs, Urban Winery, winewomenfood. Bookmark the permalink. Holidays are for celebrations–especially our Winter holidays. I know, I know when you hear the word Rose you think Spring/Summer wine. Well you haven’t met our Riot Girl Rose yet. This Rose is a blend of 60% Zinfandel and 40% Pinot Gris. It has flavors of Cranberry, Pomegranate and Red Apple that explode in your mouth. The first time I tasted it I just knew I needed to make a holiday “cocktail” with it. 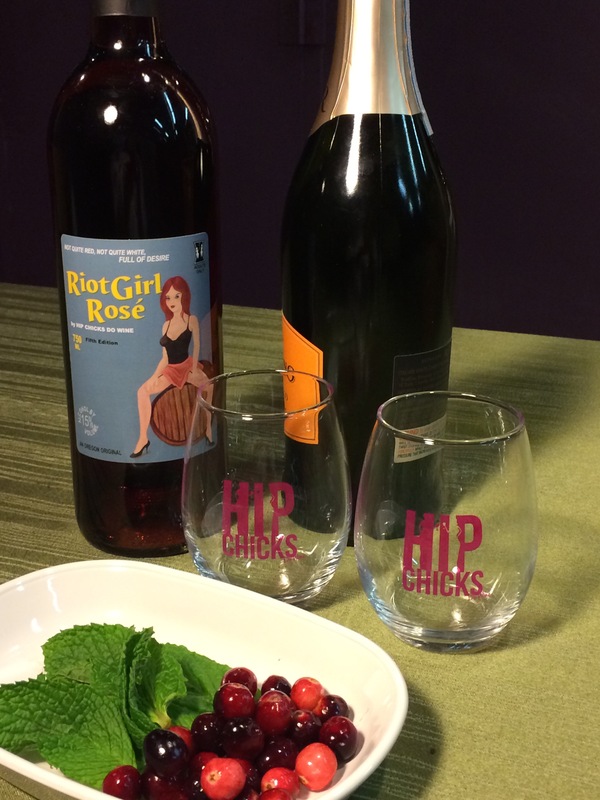 Posted in Libations, Uncategorized and tagged Hip Chicks do Wine, Holiday Cocktail, Pinot Gris, Riot Girl Rose, Rose, Sparkling Wine, Urban Winery, Wine, Wine Cocktail, Zinfandel. Bookmark the permalink. 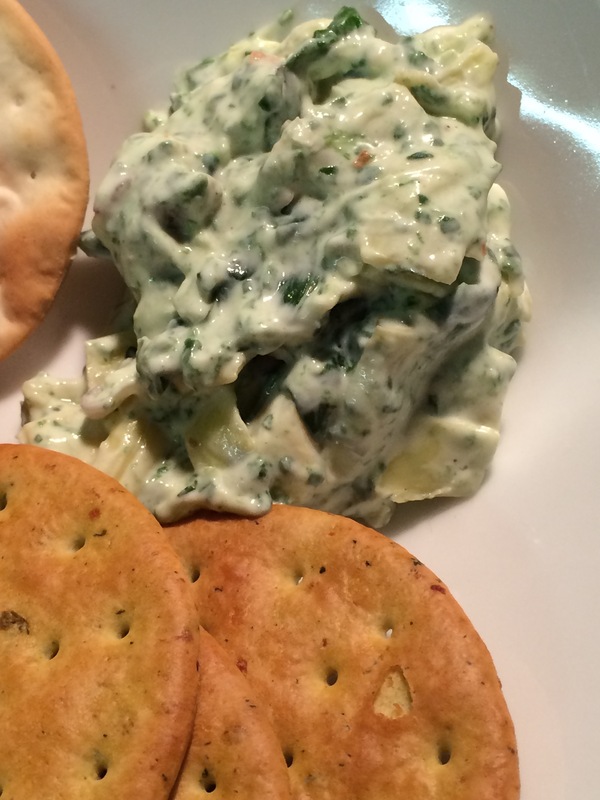 This is SUCH an easy dip and tastes amazing! Terrific with toasted baguette slices or pita chips, this creamy, sweet-savory dip can be prepared up to three days in advance. Refrigerate in a microwave-safe container, then reheat in a microwave on high for one to two minutes or just until warmed. Cut squash in half lengthwise, discard seeds and membrane. Brush cut sides of squash halves, cut sides of onion quarters, and garlic cloves with oil. Arrange squash halves, cut sides down, on a jelly-roll pan; arrange onion quarters and garlic cloves on pan. Bake at 350 degrees for 45 minutes or until tender. Cool slightly. Peel squash, Squeeze garlic cloves to extract pulp. Place squash, onion, and garlic pulp in a food processor; process until smooth. Add crème fraiche and remaining ingredients; process to combine. Serve warm. Yield: 4 cups (serving size: ¼ cup). Fall in Oregon means one thing for sure (besides making wine) and that is Mushrooms. I love this super easy mushroom dip on a crostini for an appetizer. Pair this with an Oregon Pinot Noir and you’ll never look at mushrooms the same way again! Place half of the mushrooms in a food processor, and process until finely chopped. Spoon chopped mushrooms into a large skillet. Place the remaining mushrooms and garlic and processor, and process until finely chopped. 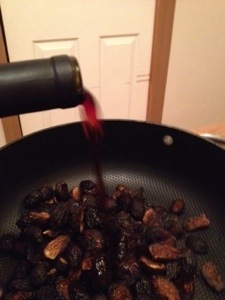 Spoon mushroom mixture into pan; add wine and thyme. Cook over medium-high heat for ten minutes or until liquid almost evaporates. 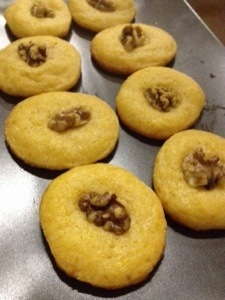 Sprinkle the mixture with flour, and stir well. Stir in cream cheese, lemon juice, salt, and pepper; cook one minute. Spoon into a serving bowl; cover and cool. 2. Stir in gouda, sour cream, and parsley. Sprinkle with green-onion tops, if desired. Cover and chill. Yield: 3 cups (serving size: ¼ cup). 1. Fry the bacon until crispy. Remove and let drain on paper towell and chop finely. Reserve for later. Drain off bacon grease reserving 1-2 tablespoons in the skillet. 2. Chop shallots and mince garlic. Saute shallots in reserved bacon grease for 2 minutes. Add garlic and saute for 1 minute. 3. Roughly chop spinach and basil and add them to the oninon/garlic mixture. Saute until wilted. Place Spinach mixture in a colander and squeeze to get as much liquid out as possible. Place 2/3 of the spinach mixture in a food processor with the cream cheese. Process until smooth. 4. In a bowl mix the Spinach/Cream Cheese mixture with the remaining spinach, sour cream, roughly chopped artichoke hearts, and the reserved bacon. Salt and Pepper to taste. If you like just a touch of heat add 1-3 dashes of Tabasco. Chill and serve with chips, bread or crudite. It’s cold and snowy outside and these cheesy spicy wafers are just the thing to munch on while I watch the snow fall. They also make a great pairing with wine–I recommend a fruit forward Pinot Noir. Place butter, cheeses, flour, cayenne pepper and salt in the food processor. Pulse several times over 30 seconds. Then run machine continuously until the mixture forms a ball. Shape dough into a log 2 inches in diameter and 8 inches long. Wrap log tightly in plastic wrap and roll it on your work surface several times to make it compact. Chill at least 30-45 minutes. Dough can be stored in the refrigerator for 2-3 days or up to 1 month in the freezer. To bake preheat oven to 400 degrees. With a sharp knife cut 1/4 inch thick slices from log and place 1 inch apart on baking sheet. 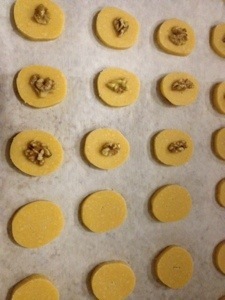 Top each wafer with a walnut half and back until light golden brown 10-12 minutes. Rotate cookie sheet hallway through. Pop open a bottle of Oregon Pinot Noir and enjoy! Posted in Appetizers and tagged cheese, Hip Chicks do Wine, Pinot Noir, sharp cheddar cheese, wine pairing. Bookmark the permalink. This weekend begins Summer in Portland. 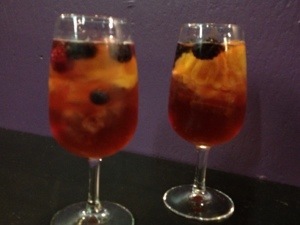 I’ve had TONS of requests for our Sangria recipe. So I’ve decided to give you two versions. 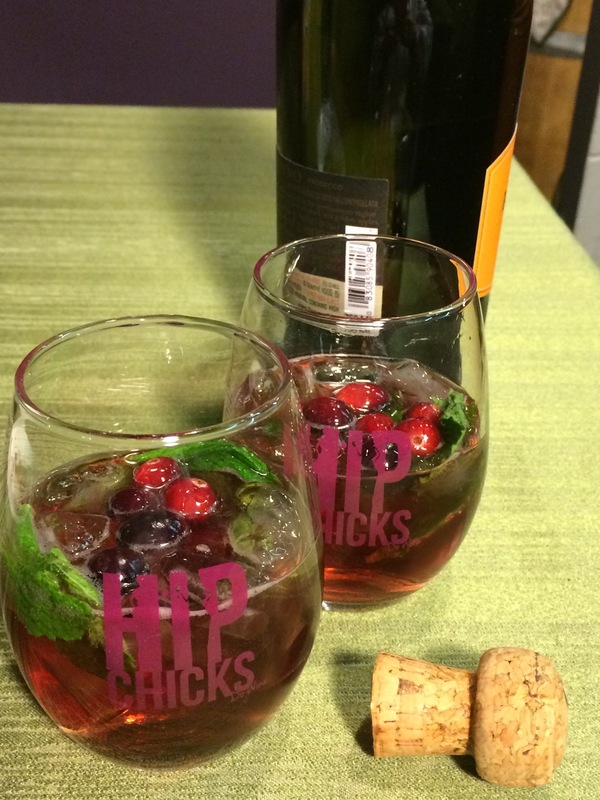 The more “wine punch” version that we make at the winery and the alcohoholic version you can make at home! Pour ingredients into a large container filled with ice, stir well until combined then pour into serving glass. Garnish with orange, lemon and strawberry pieces. Needless to say the first time I made this it was a HIT! I don’t remember what wine used by you can see by the picture it was enjoyed. Wine–At least 2 bottles. I always make the base something light and fruity. Typically our Belly Button Wine or Wine Bunny Blush. To that I add 1/3 to 1/2 a bottle of a nice fruity red. Malbec, Cabernet, Drop Dead Red–just something to give it a little kick. Now for about 1/4 – 1/3 of a cup of non-alcoholic triple sec. I know-I know sounds boring but it adds some sugar. Finally a splash of lemon-lime soda. And taste. sometimes you need more triple sec, sometimes more soda. Slice up oranges, lemons and strawberries, throw in some grapes for fun. And we’re in business! 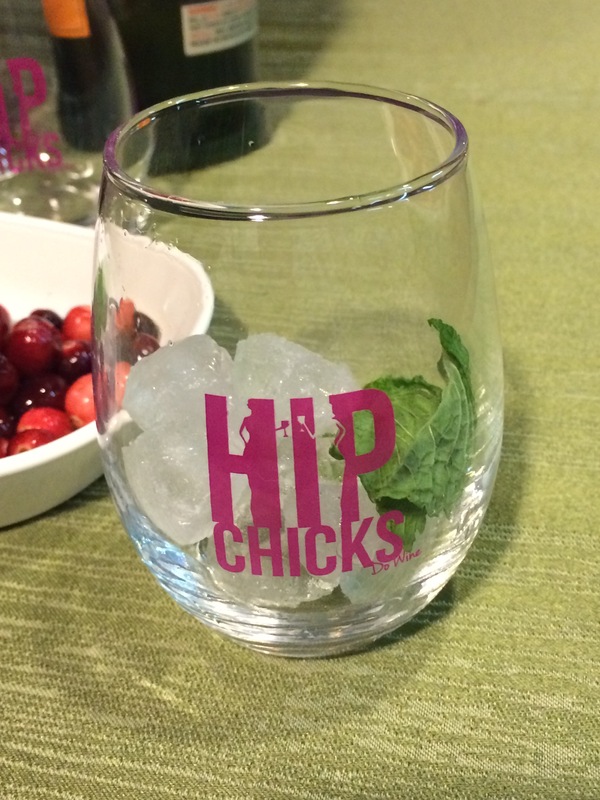 Posted in Uncategorized and tagged Hip Chicks do Wine, Sangria, wine punch. Bookmark the permalink.